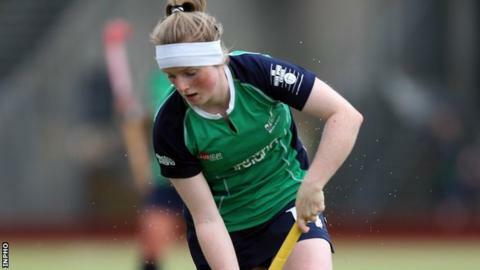 Naomi Carroll scored two goals in Ireland's 6-0 victory over France in the Three-Nations series in Dublin on Wednesday night. Carroll, Chloe Brown and Katie Mullan had the Irish 3-0 up at half time. Carroll added a second goal after the interval with Nikki Evans and Anna O'Flanagan the other goal scorers. Ireland hammered France 9-0 on Sunday before losing to Spain 2-1 on Monday, and they face Spain again at UCD on Thursday night.